There are 60 primitive campsites and another 85 with RV hook-ups, all with picnic tables and fire pits. 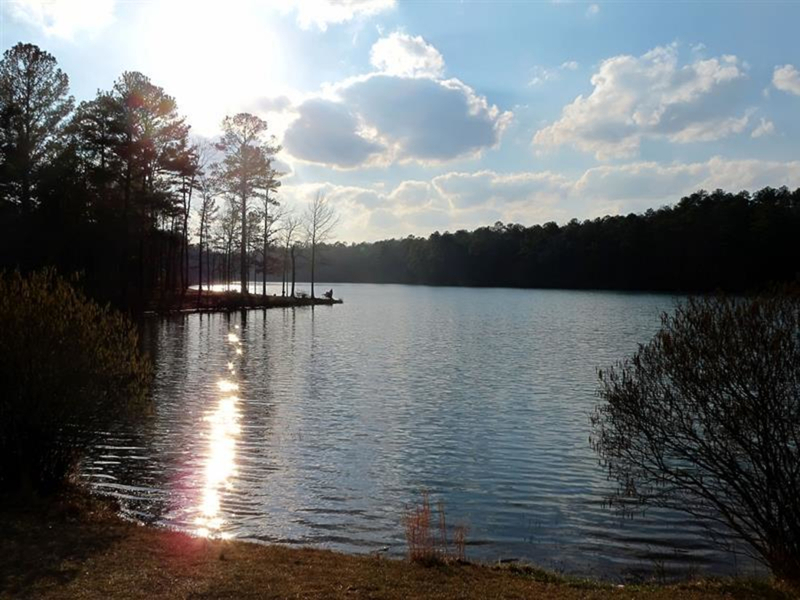 Located on the shore of Oak Mountain Lake, many of these sites have direct access to the lake for nice evening views and swimming at the campground beach. As far as camping goes, this place is pretty plush. There are 7 bathhouses, 2 coin-operated laundry facilities, a camp store and, if you experience delirium tremens from being off-the-grid for too long, you can get a WiFi connection down the road at the golf Pro Shop. Camping at this park is a favorite because there’s just so much to do. There are several designated backcountry sites for backpacking hidden tucked away throughout the park, and are definitely worth seeking out. These sites may not be the most remote locations, but they are perfect for the beginner testing out equipment and gaining a little experience before hitting the hard trails. Every camper has direct access to Oak Mountain’s 51-mile trail system means you can hike, run, or ride right from your campsite. 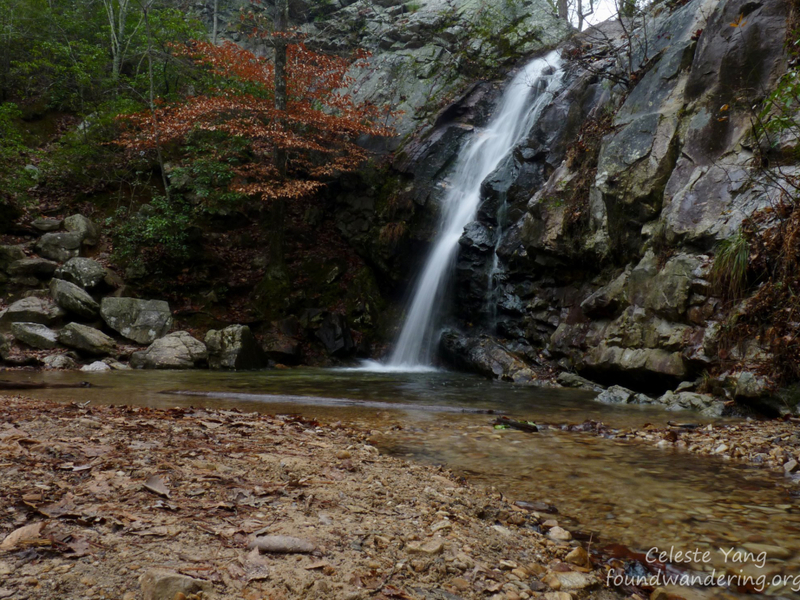 About 25 miles of hiking trails with varying levels of difficulty invite campers to take an adventure into the woods and explore the beauty of Oak Mountain State Park. Whichever trail you choose to tackle, you can’t miss the hike to Peavine Falls, a beautiful 65-foot cascade that that falls in a unique, twisting manner like a “peavine”. Although the water is very cold, it is still fun to splash in the shallow pool at the bottom of the falls. Another popular activity is the 22-mile Double Oak Trail, also known as the “Red Trail”, which gives mountain bikers something to brag about. It provides trails for all skill levels from kids all the way to experts. For the more extreme bikers, the Oak Mountain BMX track is the way to go. The track is actually the oldest continuously running track in the former NBL. Geocaching is available for tech-savvy hikers, and well-kept beaches are perfect for the campers looking for a warm place to lounge. 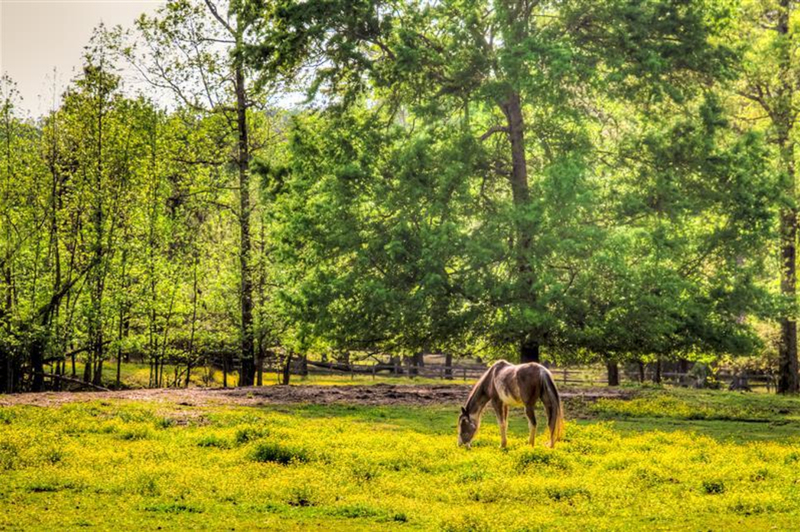 There’s even something at Oak Mountain State park for the horse lovers. Equestrian Camping is popular among travelling trail riders with equestrian camping sites that provide amenities such as 50 amp hookup, water and sewer, dump station for horse waste, fire rings and picnic tables. There are also 14 miles of trails fit for horses, so there is plenty to see from the saddle. It’s just a few miles to the marina, where you can rent canoes, paddle boats, and stand-up paddleboards by the hour. Fishing is popular in Lunker Lake (with a name like that, we can see why), and kids will enjoy an afternoon at the petting farm or Alabama Wildlife Rehabilitation Center. Golfers can enjoy a nice round at the Oak Mountain Golf Course, an 18-hole par 72 championship course. 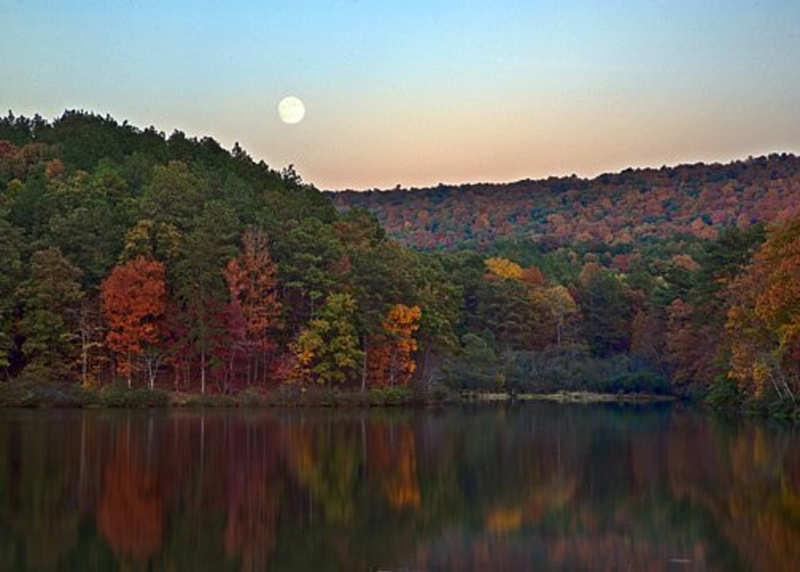 Oak Mountain State Park is best suited for… well, everyone. Kids, seniors, and everyone in between will find something fun at this park. Swimmers, anglers, mountain bikers, hikers, campers and backpackers will have plenty to enjoy with a wide array of activities that will eliminate the word “boredom” from your vocabulary. Day use fee is $4 per Adult ages 12 and over, $1 per Child ages 6-11, $1 per Senior ages 62 and over, and FREE for Children ages 5 and under. Backcountry sites are $6 (plus tax) per person, per night. Primitive sites are $17.60 (plus tax) per night year round. For sites with water and electric, the fee is $26.40 (plus tax) weekdays year round, and $29.70 (plus tax) per night on weekends March through October. for Water, electric and sewer sites, it is $29.70 (plus tax) for weekdays year round and $33 (plus tax) per night on weekends March through October. Equestrian campsites are $27 (plus tax) per night on weekdays year round, and $30 (plus tax) per night on weekends March through October.